The first foods for your baby should be extremely soft and easy to digest so that their immature digestive systems can handle it smoothly. While sooji kheer is a good first food for your baby, ragi or nachni porridge is another great option that you can try for your 6-month-old baby. Ragi is also known as finger millet. Not only is it easy on your baby's digestive system, it is also a great source of protein, calcium, and iron. What's more it's gluten-free. Here are other benefits of ragi porridge for your 6-month-old baby. Ragi is extremely nutritious and an excellent source of protein, calcium and iron. Being low in fat it is easily absorbed by your baby's sensitive digestive system. You can introduce your baby to ragi porridge once he is 6-month-old. However, as always give not more than one teaspoon of a new food to your baby for the first few days. Gradually increase the quantity if you feel that the baby's body takes it well. If you are still not sure of it, consult your baby's paediatrician before giving it to your baby. Ragi is gluten-free which means that it is extremely easy to digest. It also acts as a natural laxative and keeps constipation away. Ragi is one of those natural foods that contain complex carbohydrates, which means that the glucose released by these foods are absorbed by the bloodstream slowly. This means that your baby stays full for a long period of time and would be less cranky than normal. Iron and calcium are the two very important minerals that your baby needs in the first few months of his life. Being rich in calcium and iron, ragi prevents the deficiency of iron and calcium in your baby's body. It also helps keep anaemia at bay. Click on the next page for the procedure and recipe video! 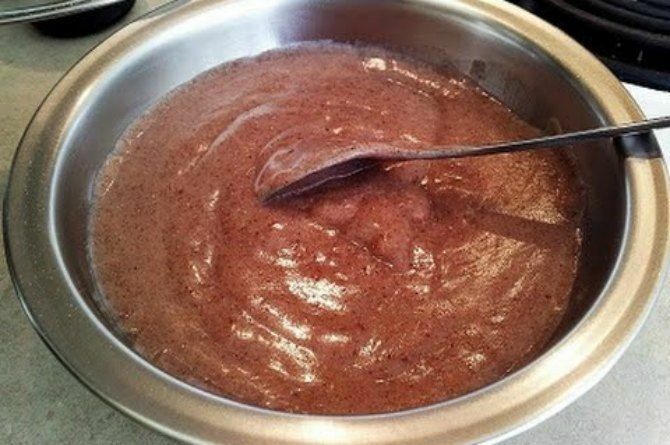 While you can easily get Ragi porridge powder in the market, you can also make it at home. Heat a pan and add a little ghee to it. Add one to teaspoons of ragi porridge powder to it once its hot and gently roast it for about one minute. Once its a little brown add about half a cup of milk and water slowly, stirring continuously to avoid any lumps. Add a little grated jaggery as per taste and stir it well till it dissolves completely. Turn off heat once the porridge reaches the desired consistency. Watch the recipe video, to get a tutorial on how to make ragi porridge easily at home.